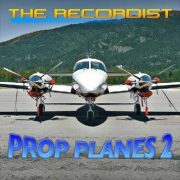 Presenting Prop Planes 2 HD Professional Sound Effects Library. 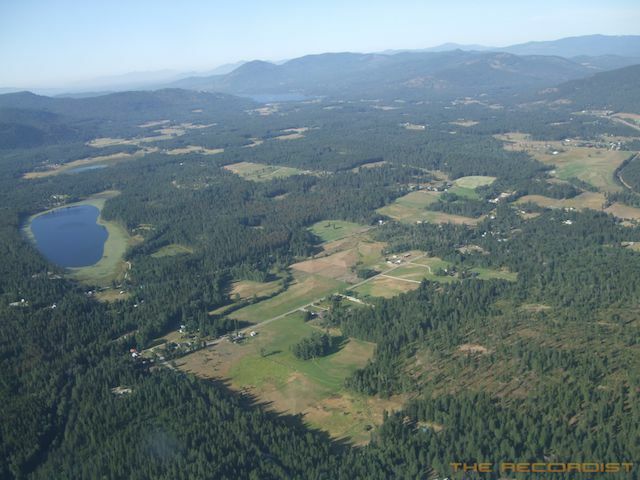 This library is the result of over two years spent at the local airfield waiting and watching for planes. 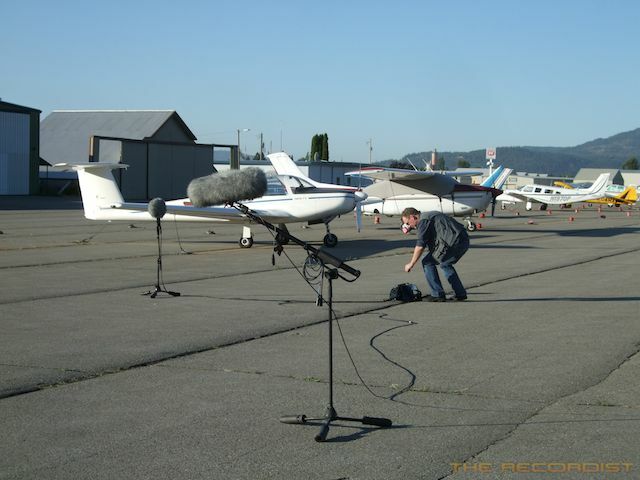 30 different airplanes were recorded in pristine 24-bit 96kHz resolution with various high end microphones and handheld recorders. 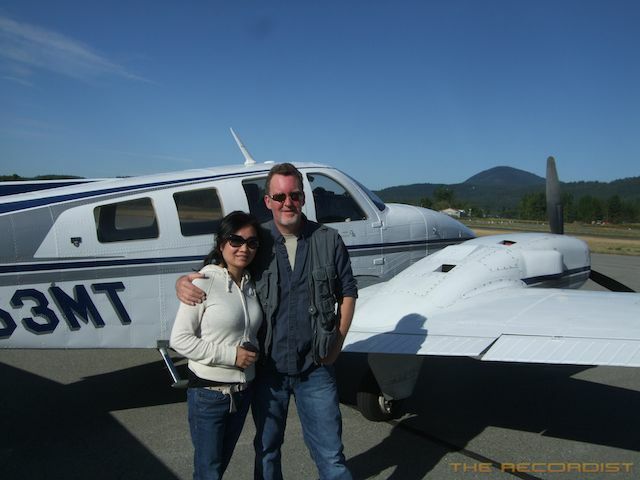 Single, twin and turbo prop planes were captured at multiple distances and airspeeds. 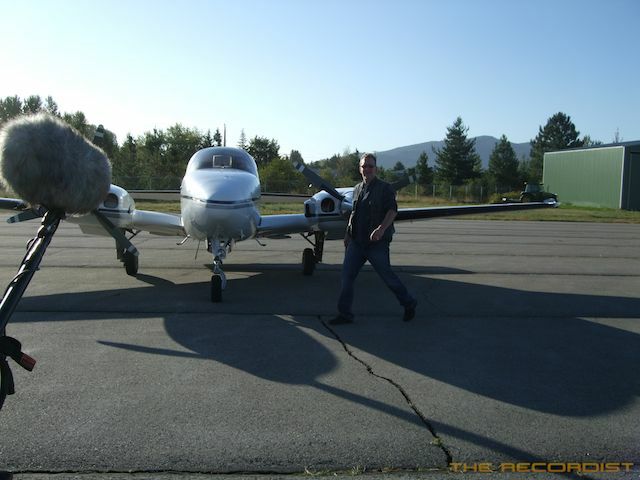 Engine starts, high RPM warm-ups and ground taxi maneuvers are also included. 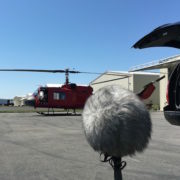 Recording the sound of a Bell UH-1N Iroquois “Huey” Helicopter on April 5 2017. 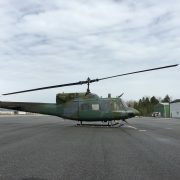 The Bell UH-1N Iroquois is a light-lift utility helicopter used to support various missions. The primary missions include: airlift of emergency security forces, security and surveillance of off-base nuclear weapons convoys, and distinguished visitor airlift. Other uses include: disaster response operations, search and rescue, medical evacuation, airborne cable inspections, support to aircrew survival school, aerial testing, routine missile site support and transport. 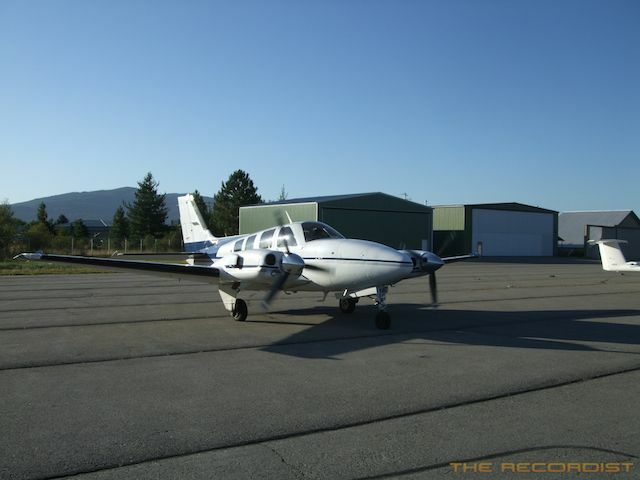 Here are two videos recorded while I was capturing the sound from a 1980 Beechcraft Baron 58P prop airplane. The first video is from camera one (Sanken CSS-5 audio) that my wife kindly shot. She also took over 150 photos of the short lived action. The second video is from camera two (Sennheiser MKH-8040ST audio), my somewhat feeble attempt to get video and sound at the same time. I forgot to bring the “Boomcam” gizmo that attaches the Flip HD camera under the microphone so I was holding it in my other hand the best I could. 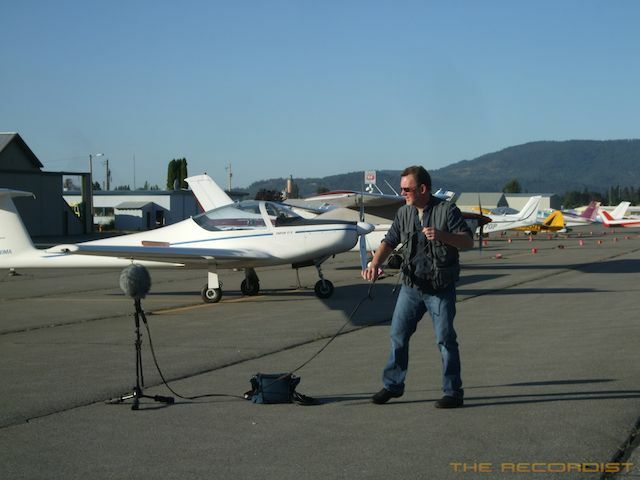 Recording the sound of a 1980 fixed wing multi engine Beechcraft Baron 58P propeller plane. 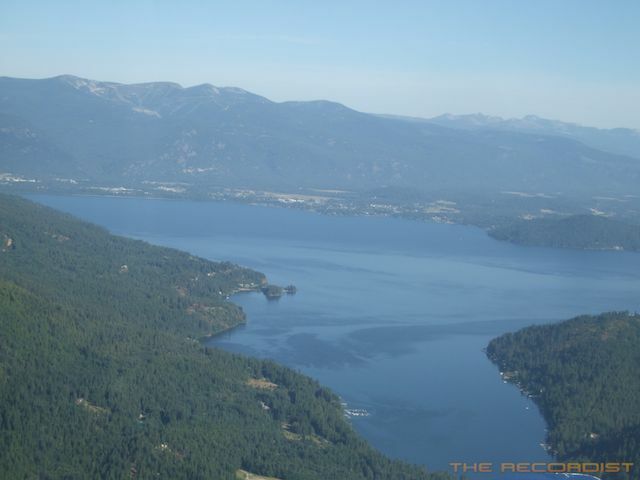 This video contains the footage from video camera 1 operated by my wife as I was recording the airplane. 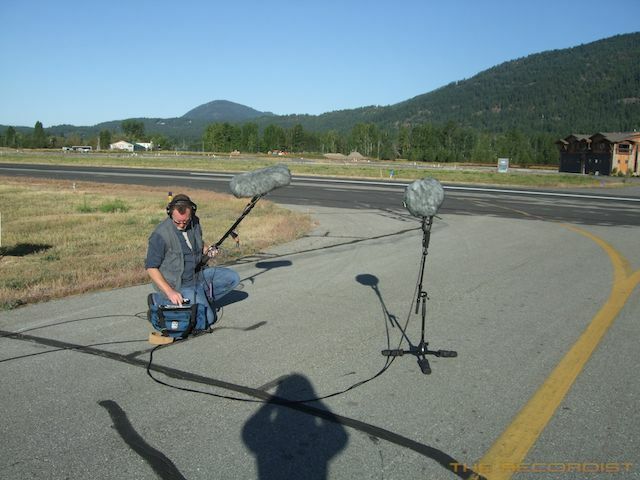 The sound is from a Sanken CSS-5 microphone which I had on a boom pole following the airplanes’ movements. 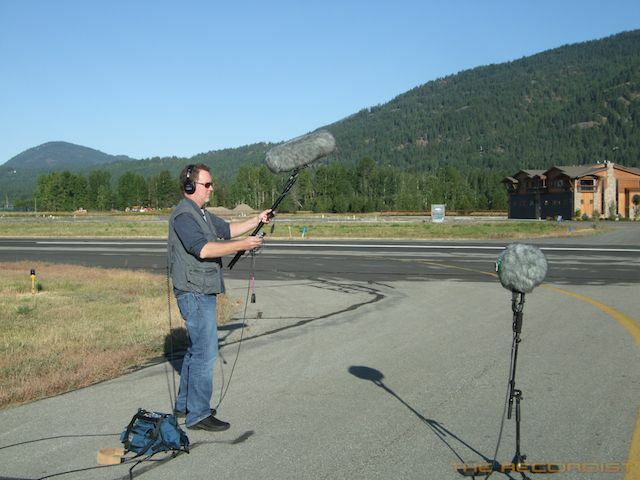 I recorded the plane at 24-Bit/96k to a Sound Devices SD-702 that was sync locked to another with a stationary MKH-8040ST microphone rig on a microphone stand. 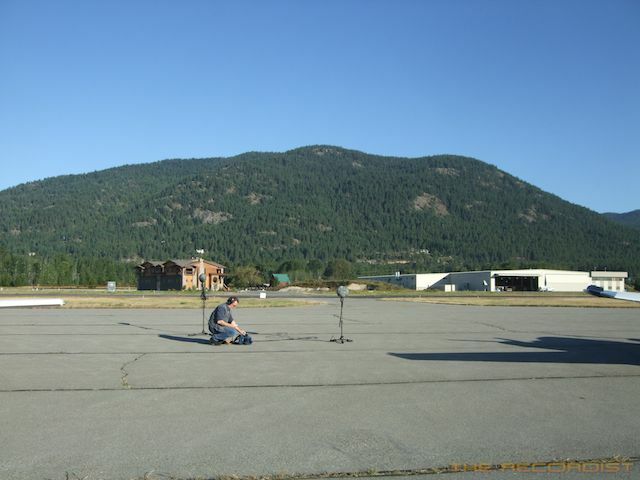 I only had an hour to record the plane so I had to have a minimal set up that could be moved around the airstrip. This first part in the video series showcases the sights and sounds of engine run-ups, ground taxiing and pass by’s from the CSS-5 perspective. 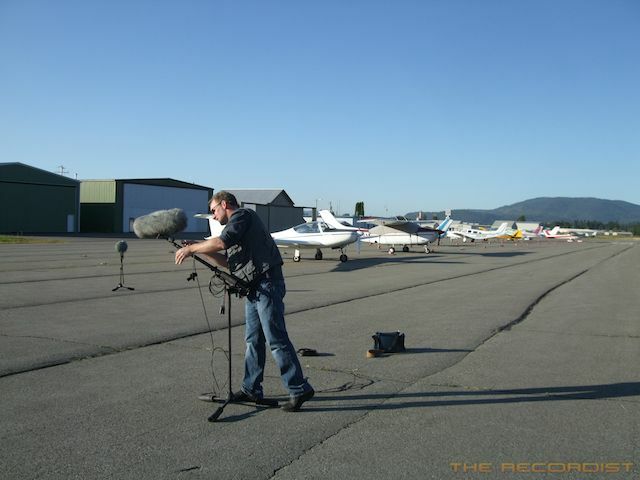 Recording the sound of a 1980 fixed wing multi engine Beechcraft Baron 58P propeller plane. 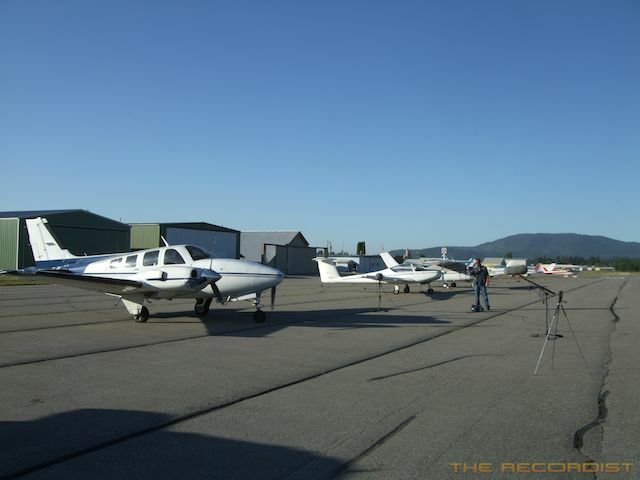 This video contains the footage from video camera 2 operated by myself as I was recording the airplane. 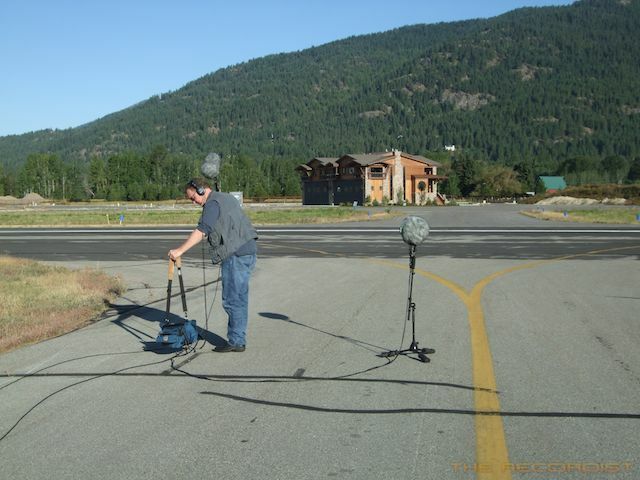 The sound is from a Sennheiser MKH-8040ST microphone which I had set on a microphone stand. 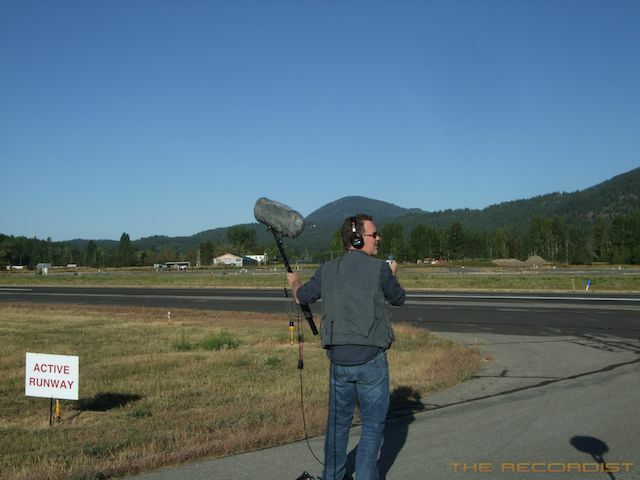 I recorded the plane at 24-Bit/96k to a Sound Devices SD-702 that was sync locked to another with a boom pole mounted Sanken CSS-5 microphone. This second part in the video series showcases the sights and sounds of engine run-ups, ground taxiing and pass by’s from the MKH-8040ST perspective.